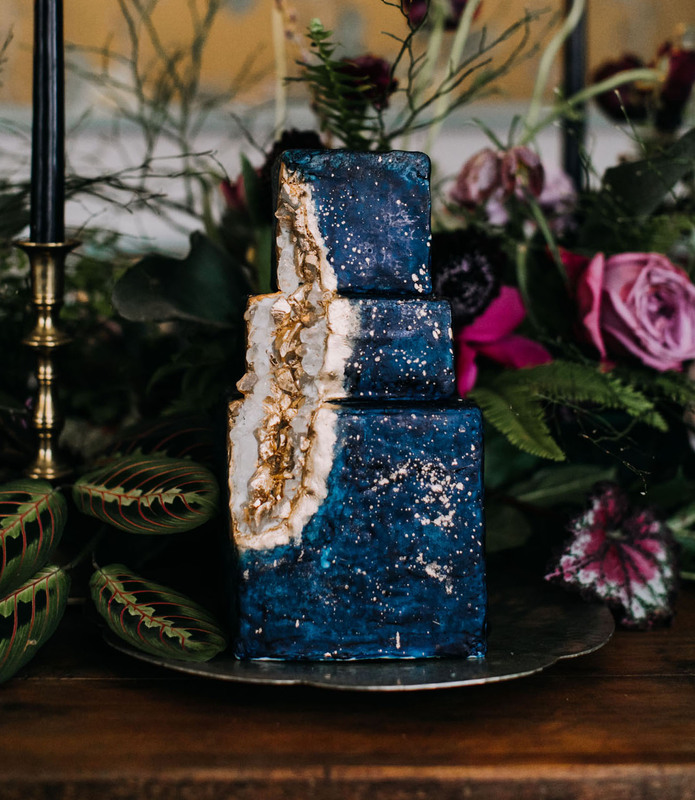 When Floral Designers Renews Their Vows… You Know It’s Going to be Out of this World! 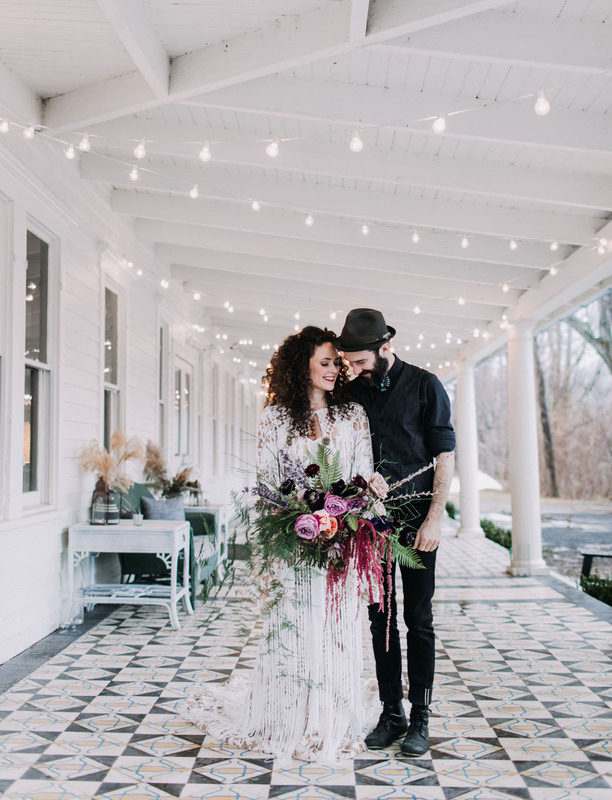 When floral designers renew their vows… you know it’s going to be GOOD! 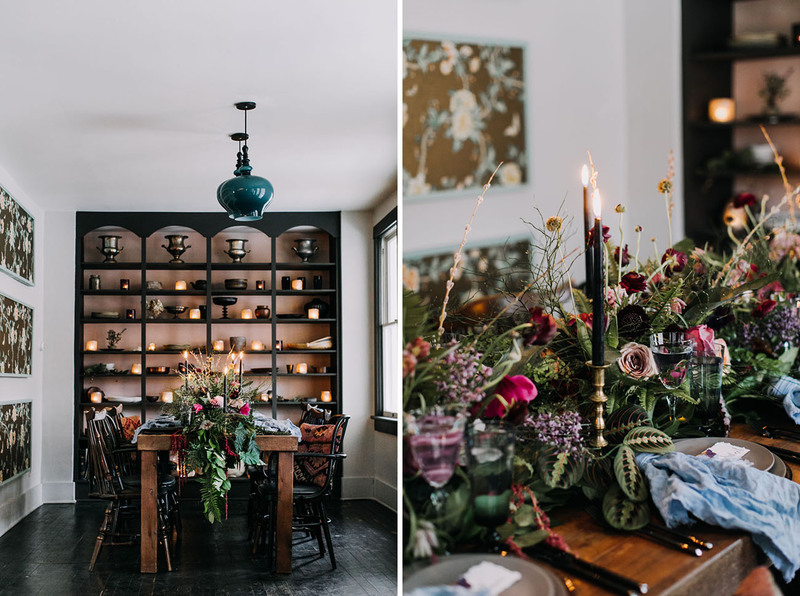 What started out as a moody, spring styled shoot and much needed creative outlet for the design teams of Feather + Rock Events and Dark + Diamond Floral Design, quickly shifted after an idea changed the focus of the shoot to feature a family vow renewal. 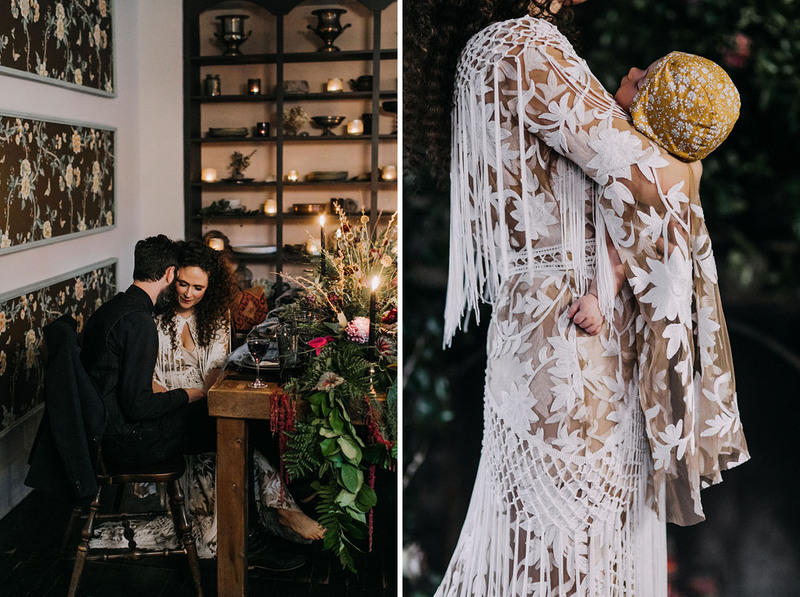 It now took on a dark + wild, bohemian style, overflowing with meaningful details. 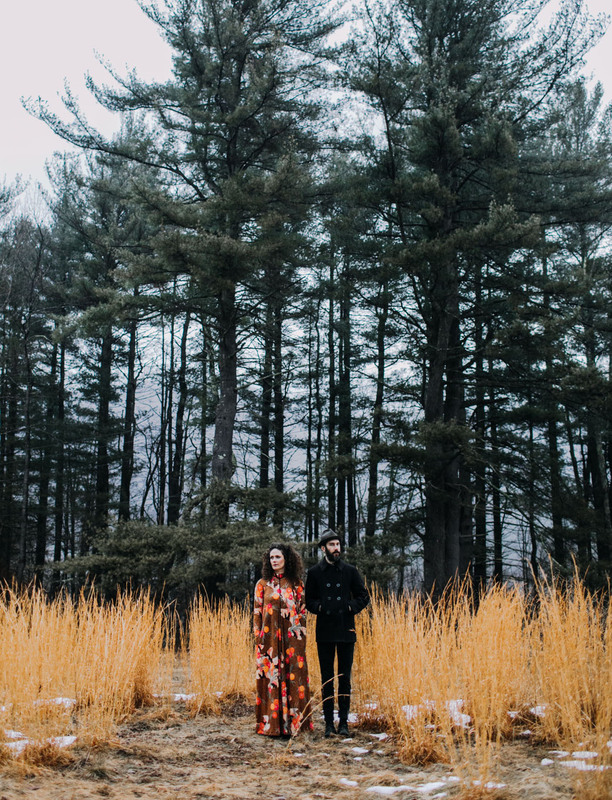 Let’s travel up to the Catskills and see how they pulled off this vow renewal, in the photos snapped by Love Me Do Photography! No details were spared; since the overall theme centered on celestial-inspired and lunar designs, everything was a bit out-of-this-world. 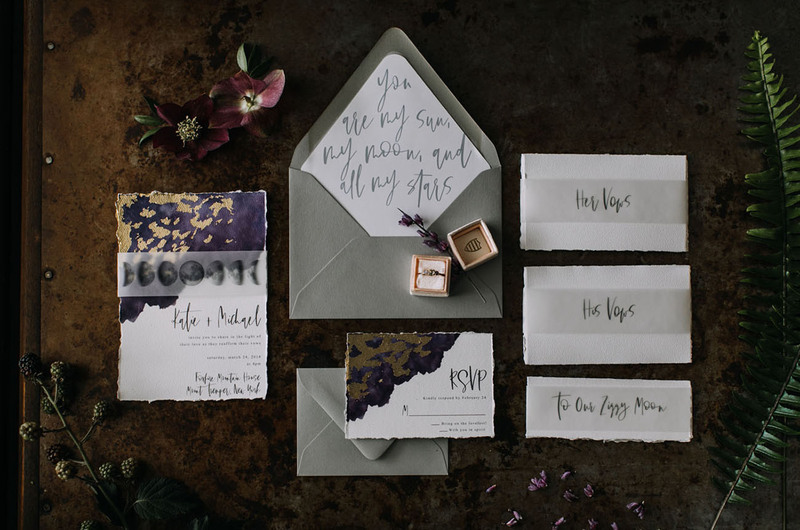 This darling invitation suite from Lavender + Love Creative, was inspired by the moon child herself, Ziggy. 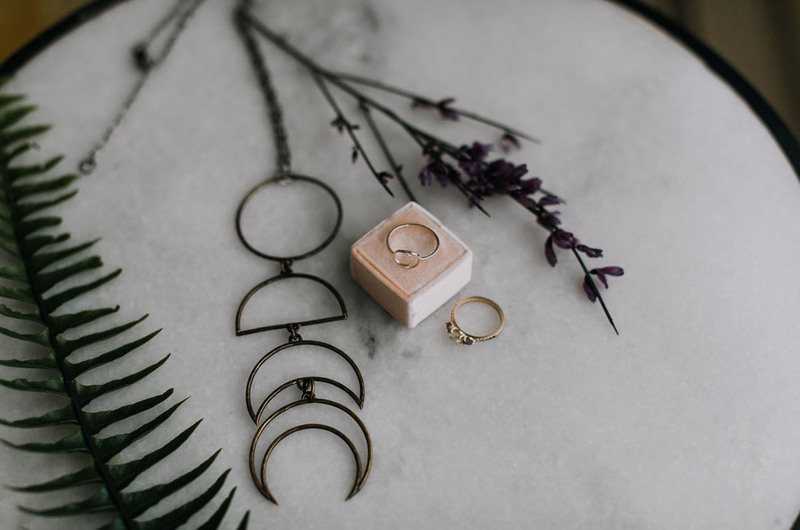 Subtle moon-phase accents in the jewelry by Holly Bobisuthi? Don’t mind if we do. Hot mama, look at that fringe!! 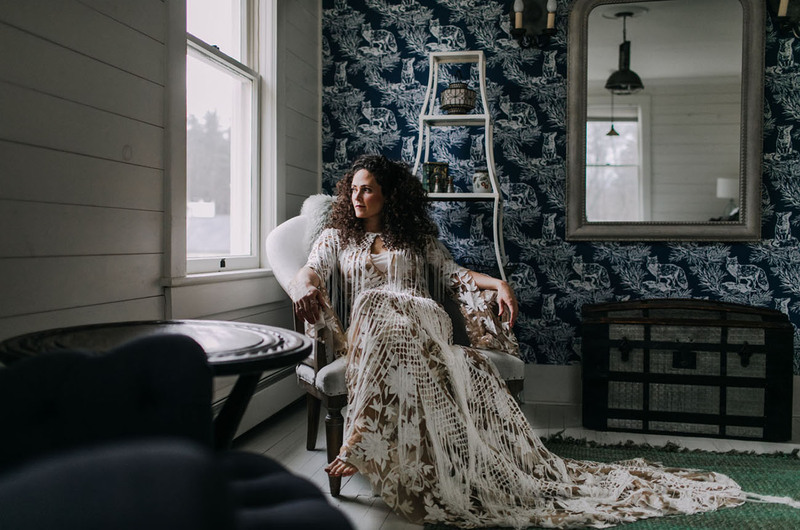 Katie rocked the Dakota gown from Rue de Seine. 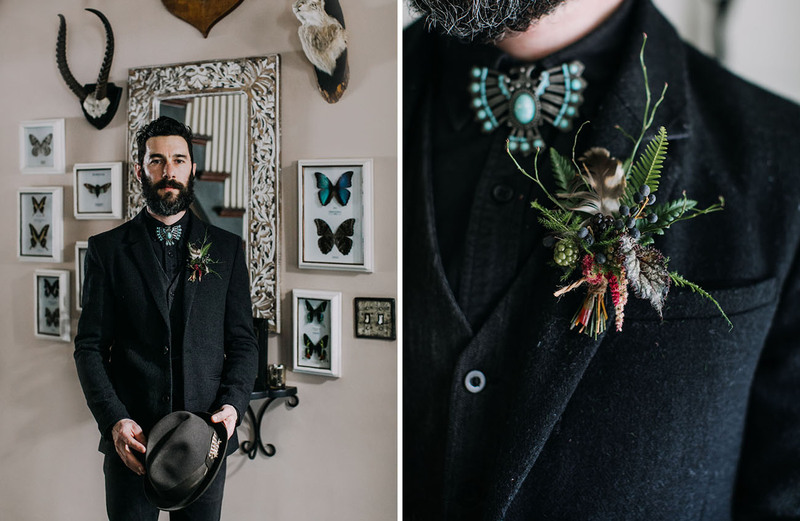 Michael’s boutonniere featured an owl feather, which was a nod to Katie’s grandmother. Didn’t we tell you?! 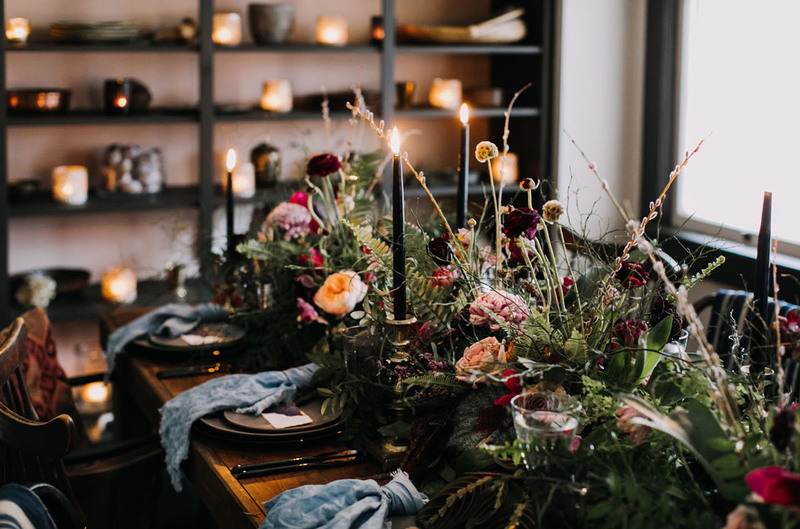 When floral designers get to create a masterpiece, they CREATE. 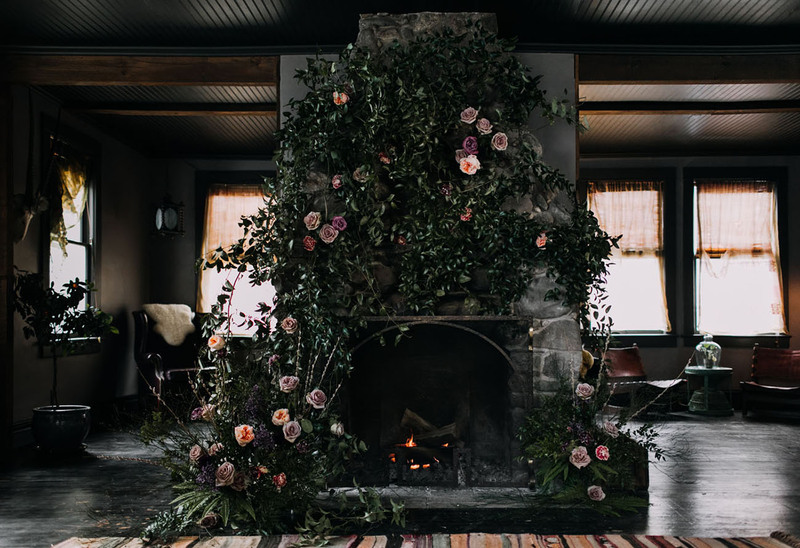 K+M wanted a “wild + free” fireplace floral installation to serve as the backdrop for their ceremony. 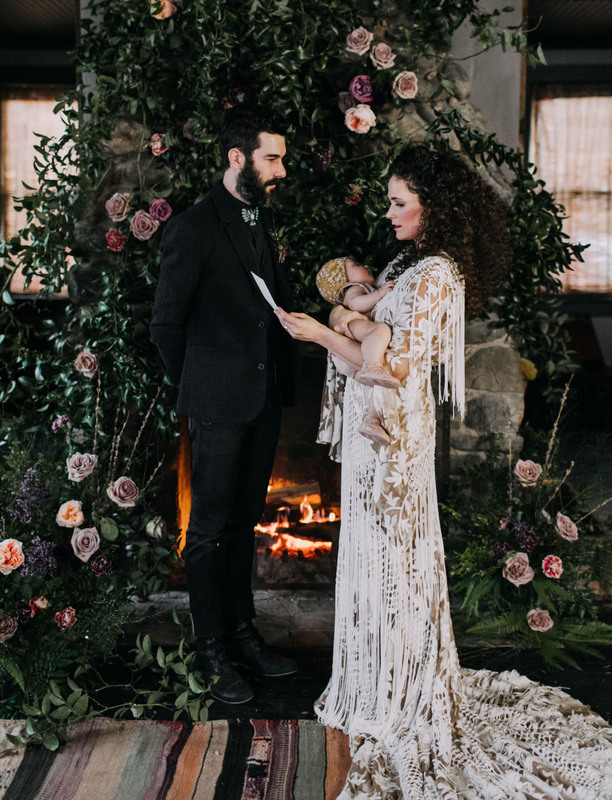 One of the most memorable moments for us was after we exchanged vows to each other, we read a promise for the future to our new daughter, Ziggy Moon. It was a poetic mantra to help guide her throughout her life. 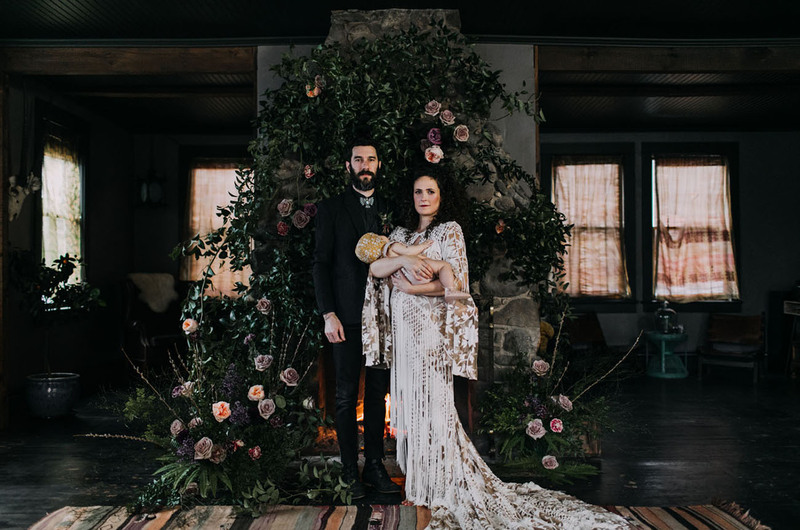 We did this in front of a gorgeous stone fireplace that we designed with wild growing vines and flowers. 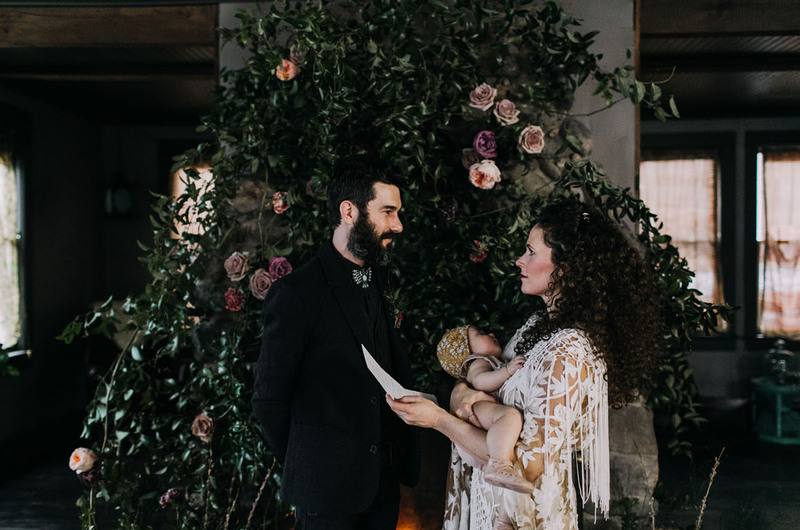 As floral designers, we get to play a very important role in creating wedding memories for our clients, but crafting a ceremony backdrop for ourselves was such a special and sentimental moment in our lives and we will never forget it. 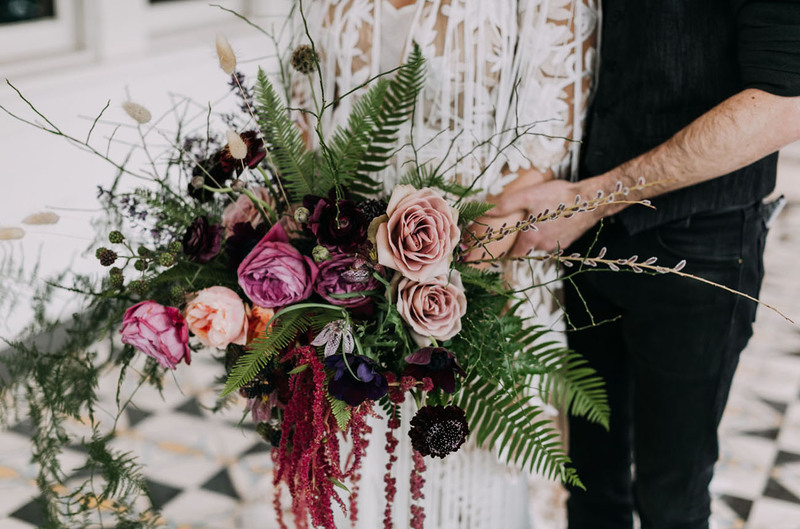 Texture meets moody hues GALORE in this sutnning bouquet. Can more family events look like this one?! 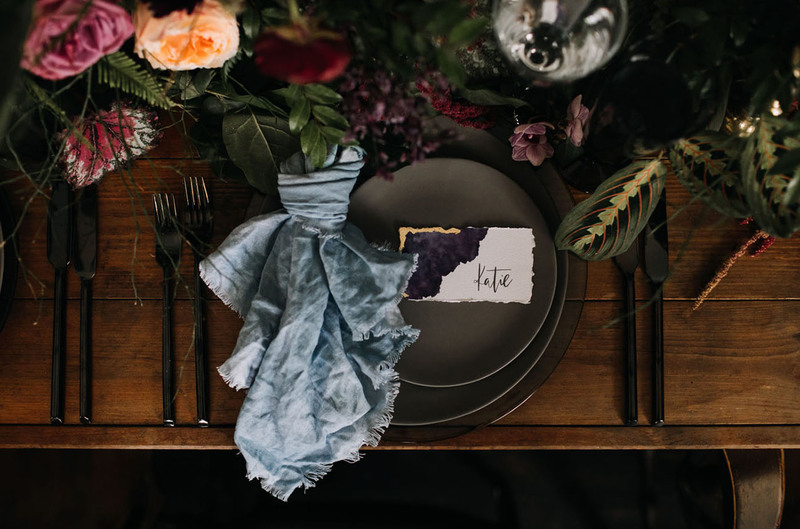 Because they are floral designers, the textured foliage was the focal point for the tablescape. 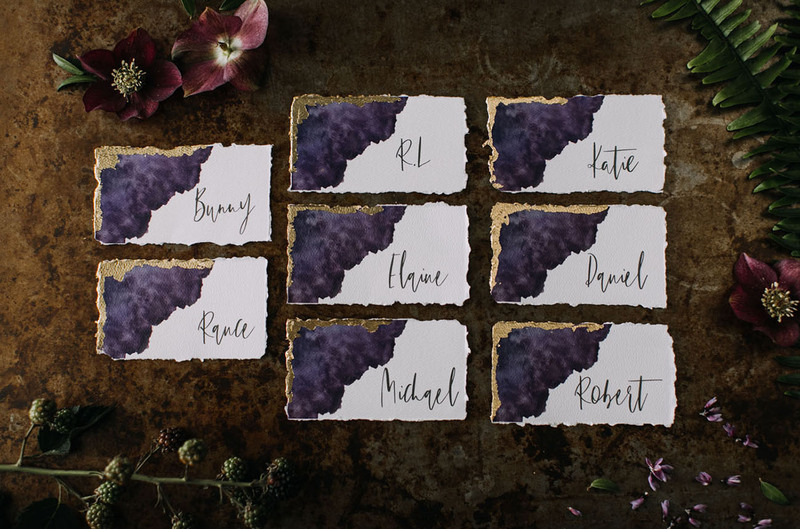 Watercolor + gold accents have a special place in our hearts… These served as a touching momento for K+M: the place cards on the reception table featured names of family members and friends who are no longer with us. DO IT! What an incredible opportunity to reconnect and celebrate the journey of marriage together. 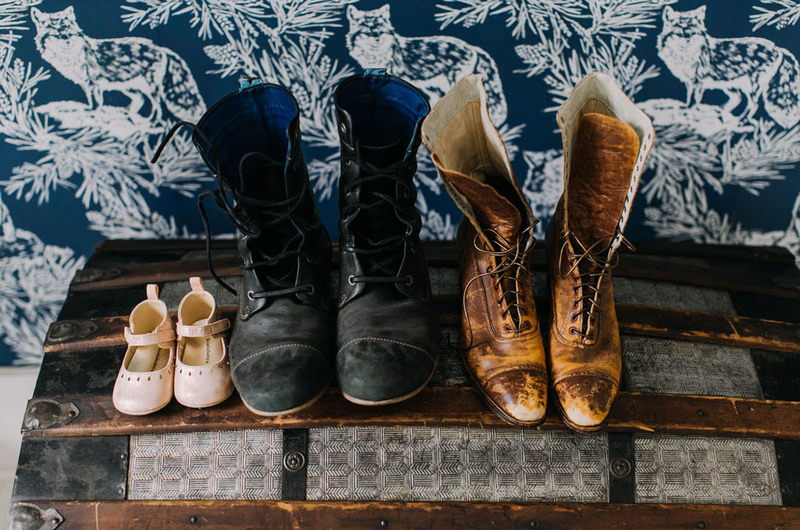 Recommitting to your partner, your family and your future together is a really powerful experience. Finding a venue or ceremony location that means something to you adds to the intimate experience. 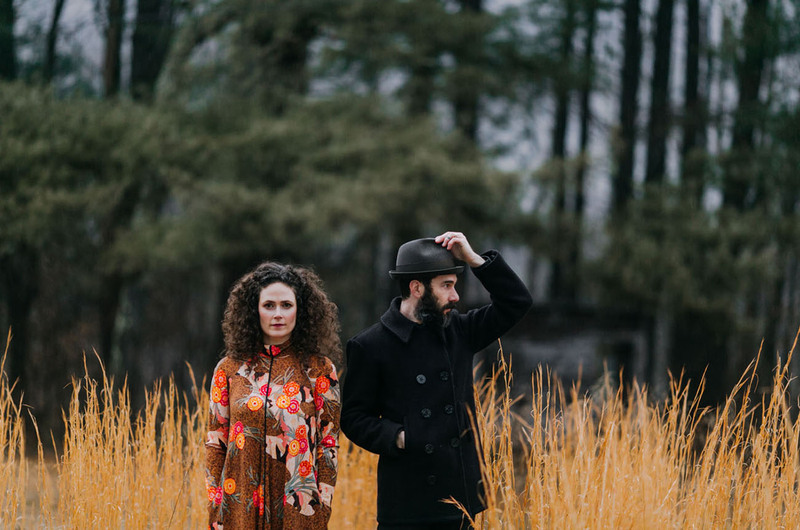 For us, that was Foxfire Mountain House, a beautiful Catskills hideaway, where we were able to be in nature and be surrounded by a beautifully curated space. 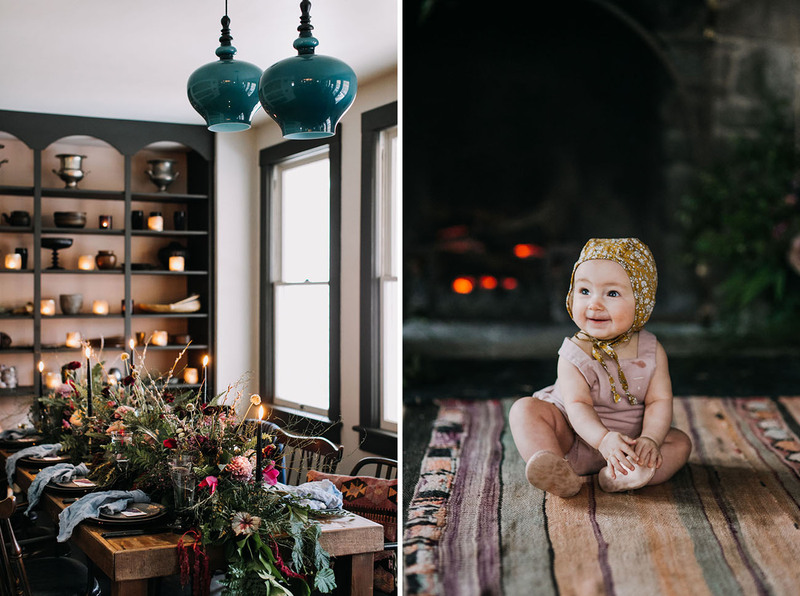 Being there inspired our design aesthetic and the overall vibe of the day. 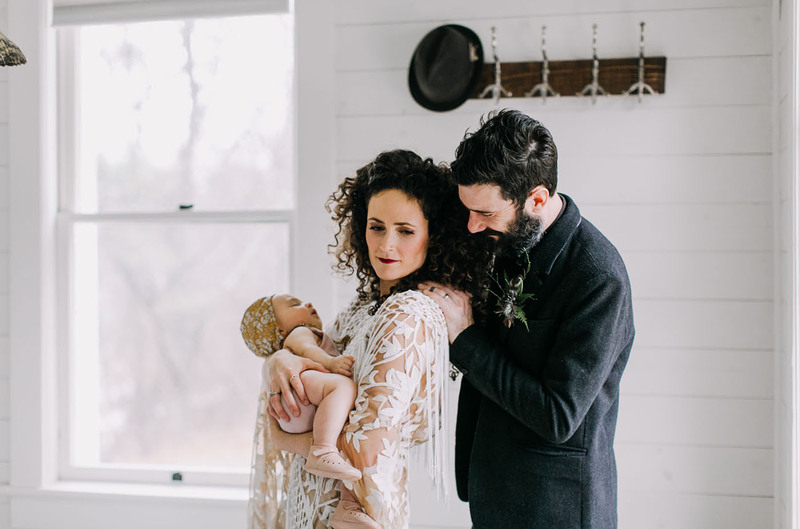 With a new 6 month old baby girl, we felt like it was the perfect time to renew our vows and focus on our new family. Who else ADORES vow renewals?! 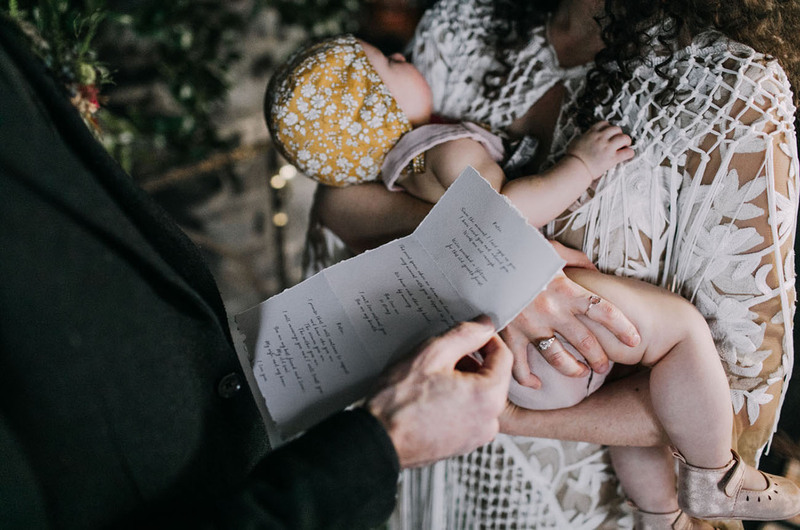 We think they are such a special thing to be able to do + remind each other of the vow you made… so, so sweet. And to be able to include the little one!! Congratulations, K+M!! 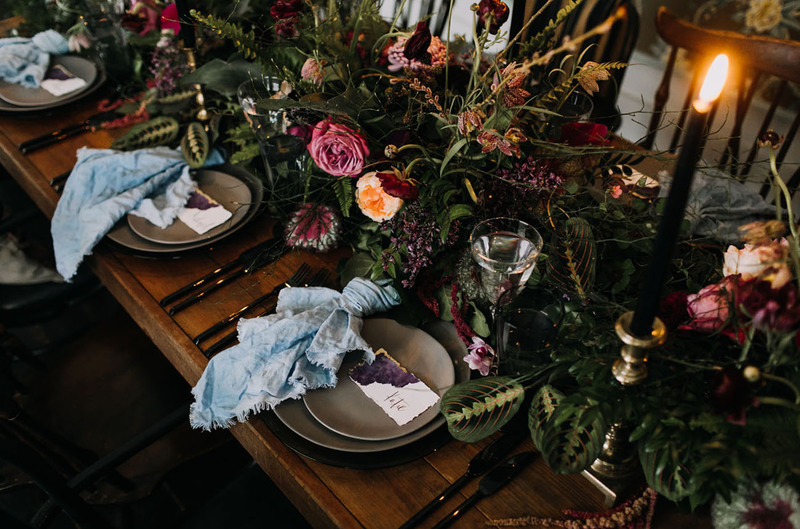 How to Plan an Epic Destination Wedding in Queenstown, New Zealand!